Custom hand-made wood paddle personalized with the child’s name and a simple design. Made to the height of the child. 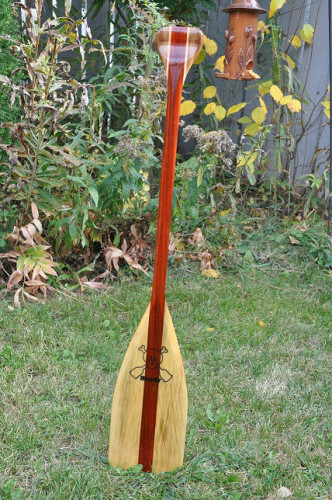 Great gift for the young paddle enthusiast. Yes, free delivery within city of Edmonton. I obtain my wood from a small local business and he gets his wood from the east coast. Product can be purchased from my home. I have been wood working for the last 10 years and with the arrival of my two sons I started making special personalized gifts for little ones. I can also make children tables and chairs and personalized growth rulers.